I love this essay. Our stereotypical ideas about "happiness" and "healing" can be stifling. There's a whole range of feelings to be experienced and savored that don't fall under the category of happiness, but enrich our existence nonetheless. But "I just want to be happy" is a hole cut out of the floor and covered with a rug. Because once you say it, the implication is that you're not. There are things that do make me experience joy. But joy is a fleeting emotion, like a very long sneeze. A lot of the time what I feel is, interested. Or I feel melancholy. 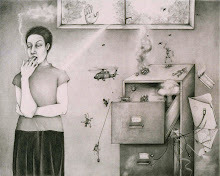 And I also frequently feel tenderness, annoyance, confusion, fear, hopelessness. It doesn't all add up to anything I would call happiness. But what I'm thinking is, is that so terrible? Don't take my word for it. Go read it all here. More about Augusten Burroughs here. 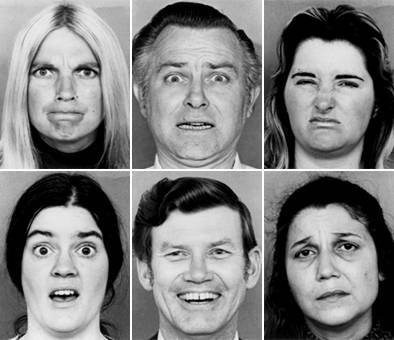 image from Paul Ekman, psychologist who pioneered studies of facial expression and emotion. via even*cleveland, ca 1920s photo. You want your balance on Charlie Sheen?